The main plea from the northern farmers is to provide them a guaranteed price for their products, says the Government Agent for Jaffna district N. Vethanayahan. He says employment was still an issue with the lack of major industries which existed before the conflict, but the agriculture sector could be improved with facilities for farmers. “The farmers say they do not want grants or subsides, and if a reasonable price is given they will not demand for anything . They want a guaranteed prices for their products such as onions”, he said. Housing also still remains an issue and the government provided Rs 7,000 million in 2016 and Rs 4,000 million last year for housing and infrastructure development. 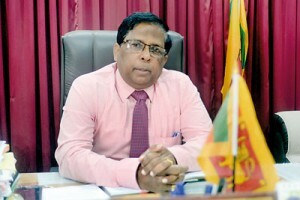 He said Under the Jaffna city Development programme – a World Bank project which is also being carried out in two other districts Rs 58,000 million has been allocated for a five year project. ‘Under the project Municipality areas, road networks and cycling areas will be developed. He said drainage projects which is a serious problem within the city limits will also be developed. He said housing requirement in the district was also still high with 20,000 houses needed while the district has 20,00 widow headed families 20,000 and about 1,900 missing persons families to be taken care of . He said after this government came into power 3,081 acres of land have been released to families and another 5,000 acres remain to be released.